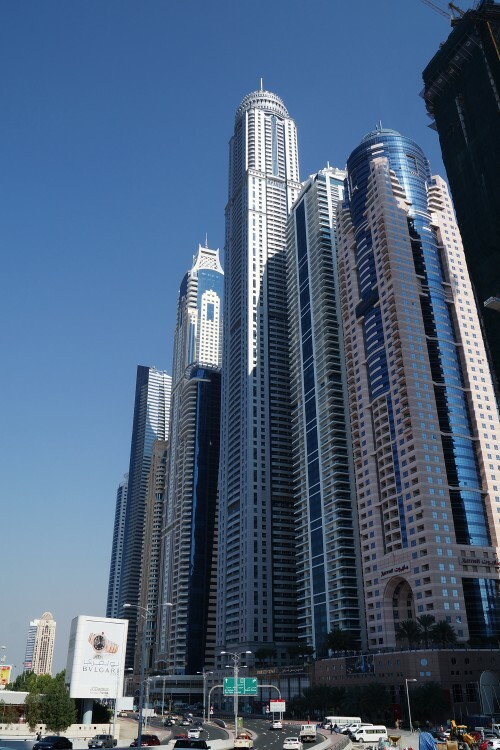 At 414 metres the Princess Tower holds the world record for the world's tallest residential building. With 101 floors it is roughly equivalent in height to the Empire State building in New York. Princess Tower comprises of 763 one, two, and three-bedroom luxury apartments as well as duplex apartments and four and five-bedroom penthouses. 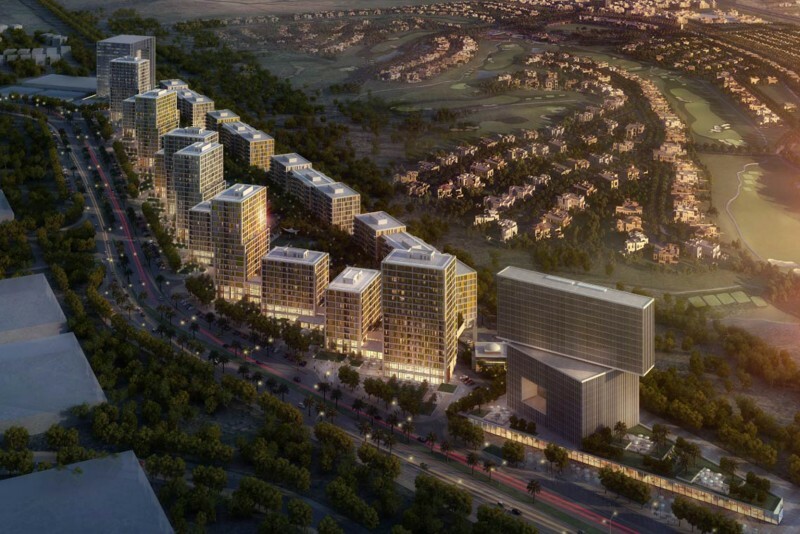 The total built-up area of the project is 162,580m². Facilities and amenities include indoor and outdoor swimming pools, a fully-equipped gym, sauna, jacuzzi, billiards hall, table tennis courts, electronic games hall and a children’s nursery. 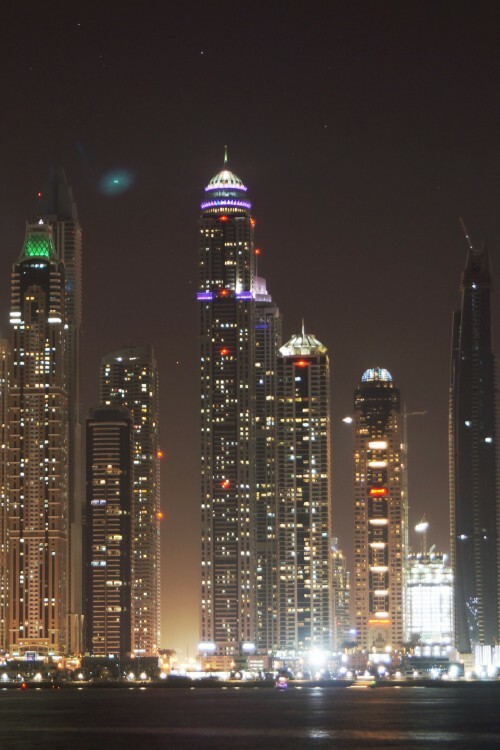 There is a large private lounge for residents on the 97th floor with a 360 degree view of Dubai. Apartments on the upper floors have a wind detection system installed which automatically locks the sliding doors to prevent balcony access in high winds. Be sure not to get locked out! In 2014 Alexander Remnev, a Russian stunt climber, reached the top of the spire to take a selfie. It was originally to be named Al Ameera Tower but the English translation, Princess Tower, was chosen instead. 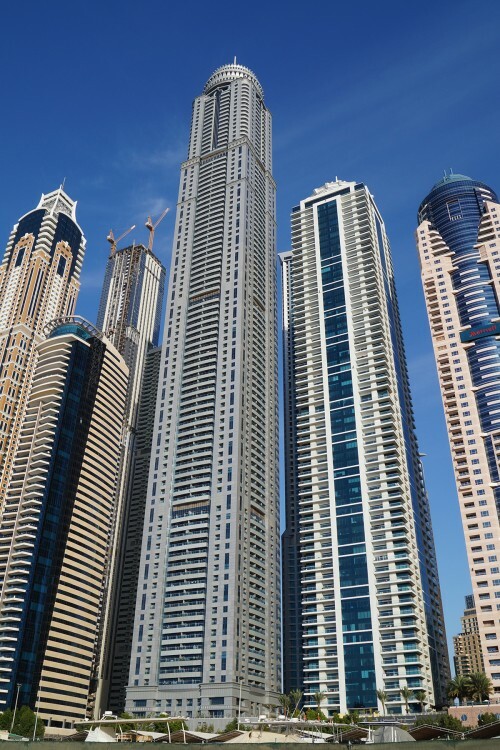 Princess Tower was originally planned to be just 90 stories and the height was purely a means to maximise the profit on a relatively small plot of land. It was only later into the design process that the developers realised a potential word record was within reach so the tower was re-designed at the last minute to allow for a further 11 floors. 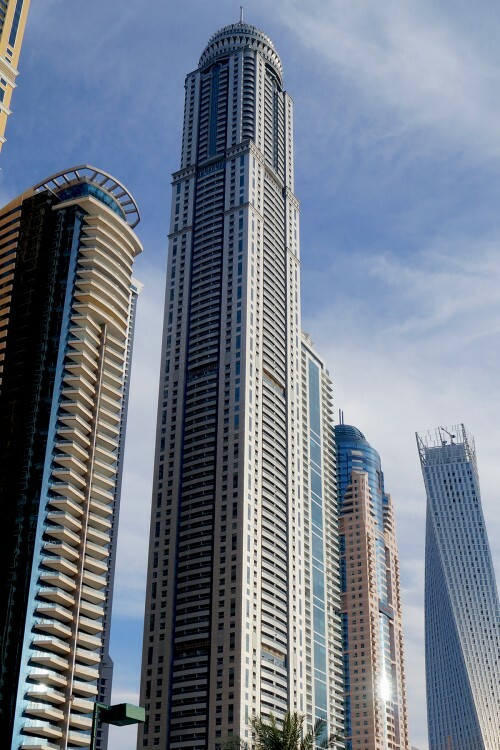 Princess Tower is situated at the north end of Dubai Marina on an area of land known as 'The Tallest Block In The World' owing to the many super-tall skyscrapers that are found there. The tower is positioned slightly closer to the sea than its direct neighbours. That was done in order to maximise the sea views for the side apartments and explains why it appears off-centre on its podium. Designed by Eng. 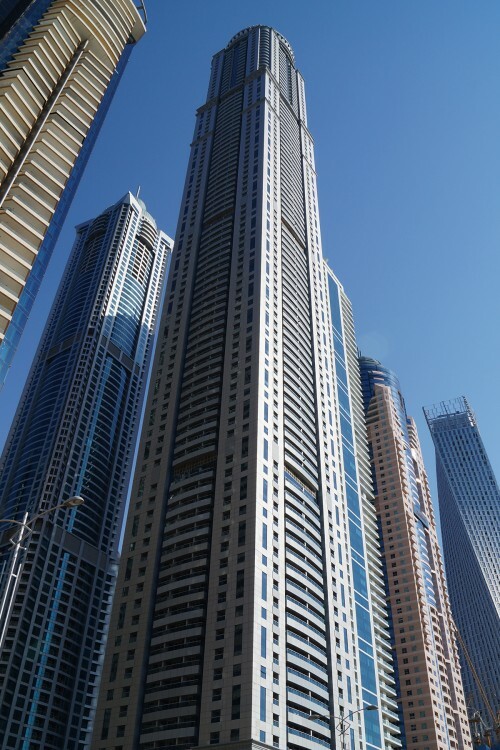 Adnan Saffarini and developed by Tameer, Princess Tower was completed in 2012. One-click links to properties currently on the market in Princess Tower. Princess Tower reveives an overall rating of 3.5 based on 16 reviews. Users were asked to consider many factors including the view, finishing, layout, noise levels, traffic, public transportation, parking, security, swimming pool, gym, and maintennance. Overall, I really enjoy living in Princess Tower. It's a new building in a primary location. The only downside is that parking is terrible. The garage is hard to navigate. It's a very cramped up space.